Confined to Athens and its immediate environs on this trip, I did not track the maze of the Minotaur on Crete. 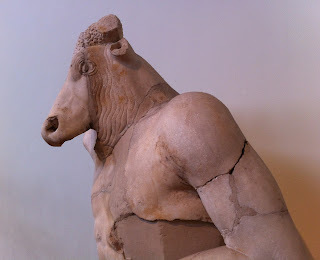 This depiction of the Minotaur was found at the National Anthropological Museum of Athens. Don't miss this museum on your next trip to Greece!